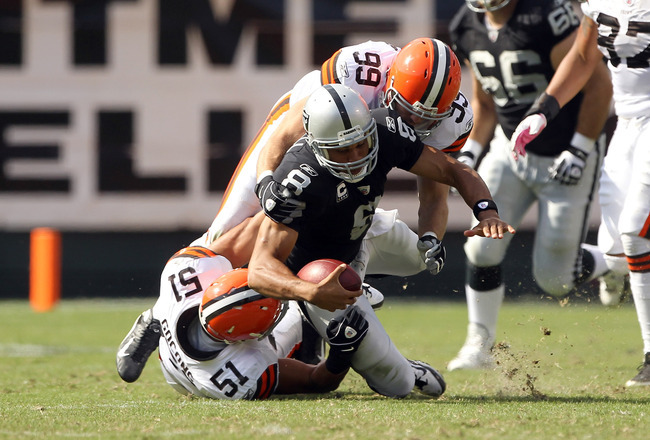 The Cleveland Browns signed journeyman quarterback Jason Campbell to a reported two-year contract late Tuesday night. Campbell’s arrival probably means the end of Colt McCoy’s days in Brown and Orange and is most likely the final move to solidify the Brandon Weeden in 2013 campaign. Campbell’s signing will have a ripple effect with the Browns quarterback situation, just not the one that some will assume, because, barring a complete collapse or an injury in the preseason, Weeden is going to be the starting quarterback when the 2013 season starts.